The Forest Ownership Seminar will be held on 14 December 2018 in the European Forestry House in Brussels. The UNECE region is characterized by some of the most diverse ownership structures in the world. 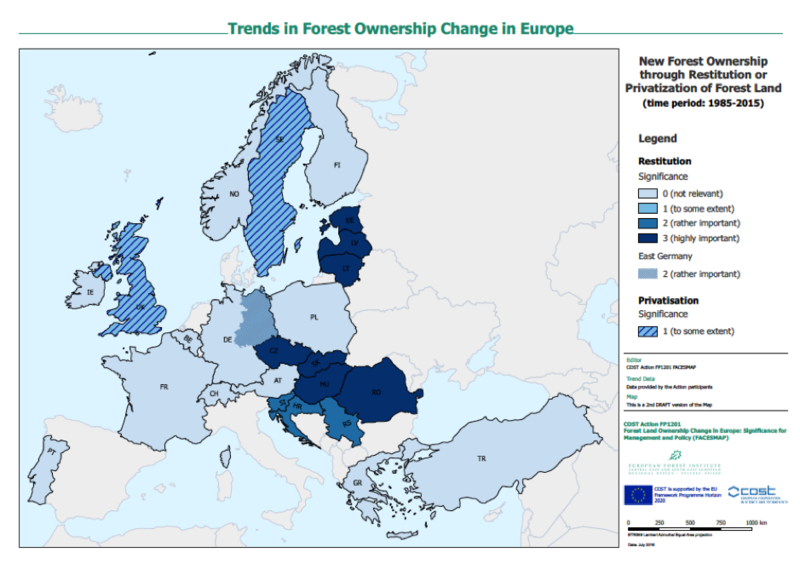 UNECE and FAO, in cooperation with the COST Action FACESMAP as well as EUSTAFOR and FECOF, developed a study “State of Forest Ownership in the UNECE Region”, based in large part on a survey of national data and expert opinions. The seminar has been developed in order to present and allow participants to better understand how ownership is changing and the implications for forest management and related policies.